Threes is a deceptively simple puzzle game. You slide numbered tiles across a 16-slot board, combining twin numbers to rack up the highest score possible. It seems like something timeless, like it should have been next to the crossword puzzle in The New York Times back when your grandpa was a kid (if newspapers supported touchscreens, that is). 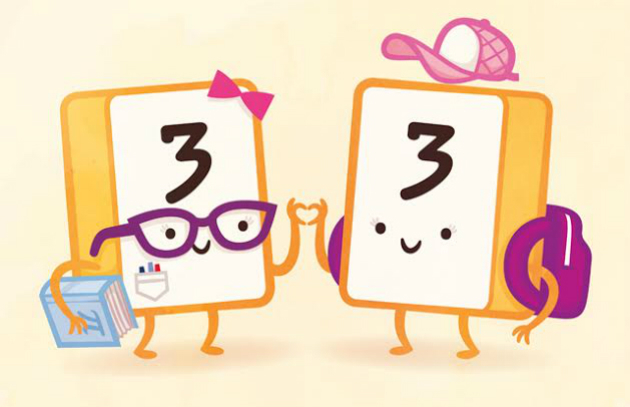 In reality, it took Threes creator Asher Vollmer and artist Greg Wohlwend over a year of careful planning to create the perfect number-squishing puzzle game. When they released Threes, Vollmer and Wohlwend charged $1.99 on the iOS App Store. Just 21 days later, clones of Threes began popping up in mobile stores, most of them for the low, low price of free. You’ve probably heard of 2048, the Threes clone that refuses to disappear. 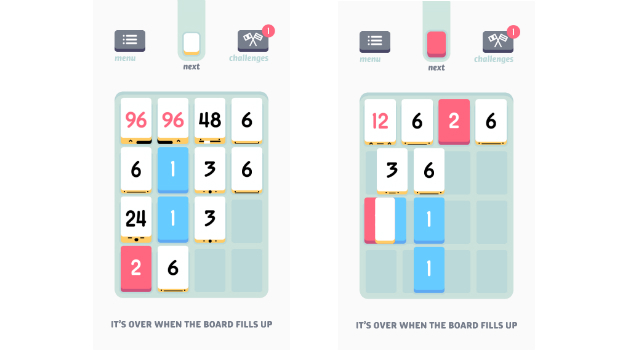 Now, Threes is closing the gap between itself and those clones, and opening itself up to even more players by launching — you guessed it — for free. Threes has had a successful run, despite the clones. It’s on iOS, Android, Windows Phone, the Amazon App Store and Xbox One, and it took home the 2014 Apple Design Award plus an Honorable Mention in the 2014 Independent Games Festival. There’s even a new gallery of adorable Threes art available to buy on iam8bit. Threes is most popular on iOS, Wohlwend says, and that’s not surprising since the game hit Apple’s App Store first. Even the Xbox One version has “definitely” been worthwhile — it’s playable in Snap mode, a unique feature on the console. To that end, the free version of Threes doesn’t contain pesky in-app purchases or unsolicited pop-up ads. Instead, download Threes Free and you’ll have a certain number of plays. Watch an ad to get another play, or download the $2 version for completely uninterrupted gameplay. Ads won’t play unless you specifically choose to see one. The Threes team put as much thought into its free strategy as it did into the actual gameplay, and Wohlwend is pretty proud of that.